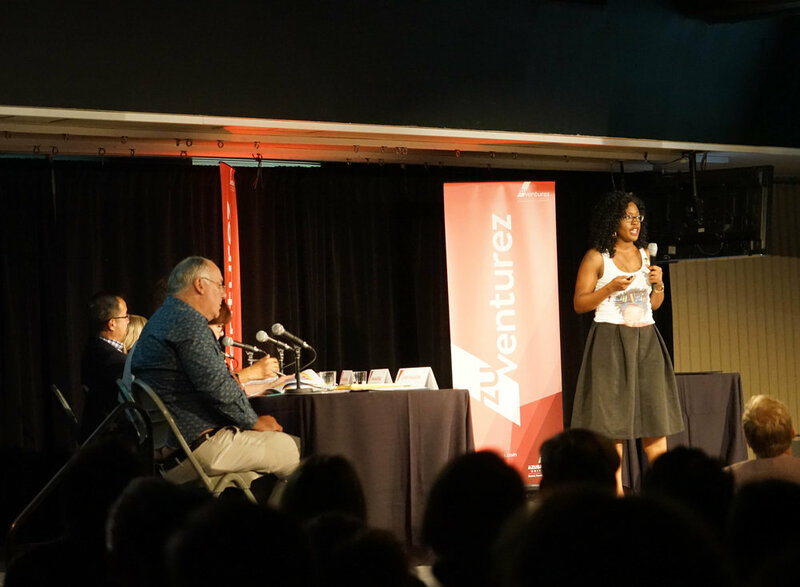 On November 15, 2016, Jennifer participated in Zuventurez's pitch competition, powered by Azusa Pacific University. Zuventurez is a 10-week program that equips the student and alumni community with curriculum presented from a Christian perspective; all the while creating opportunities for team building, professional coaching and mentoring from experienced entrepreneurs. Each week, participants had to pitch their brand in front of judges. The way they made it to the next round was by points tallied up on the judging scorecards. Participants pitched each week for 3 weeks until 7 teams made it to finals. Jennifer placed 3rd out of 30+ teams, earning her $2,000 for her business. During one of the 5-minute pitching rounds, 5 of 9 judges purchased I Am Unique! for their daughters! One of them even choked up up thinking about how much it will help his child. All photos courtesy of Zuventurez.